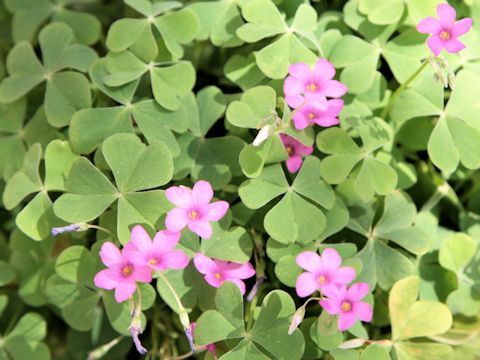 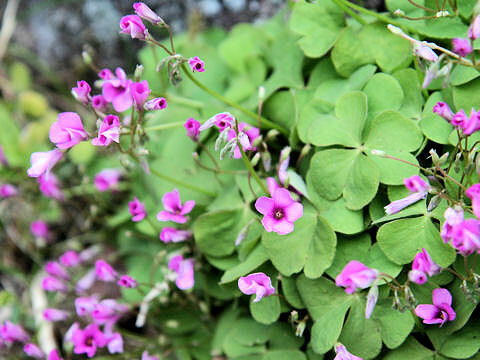 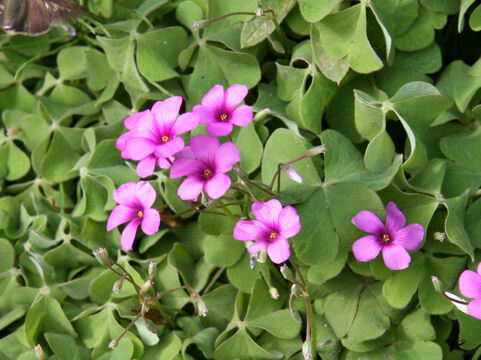 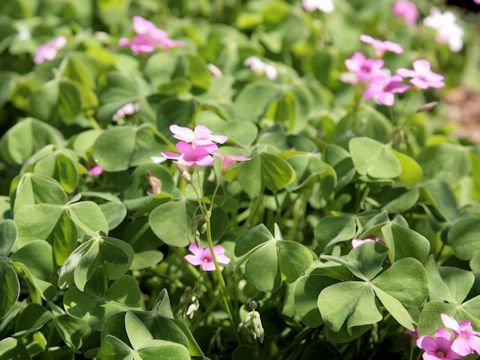 Pink sorrel (Oxalis articulata) belongs to the Oxalidaceae (the Wood sorrel family). 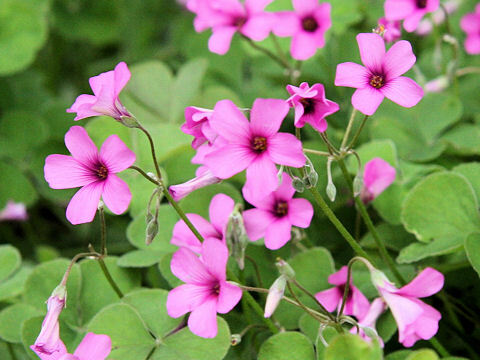 It is a perennial herb that is native to South America. 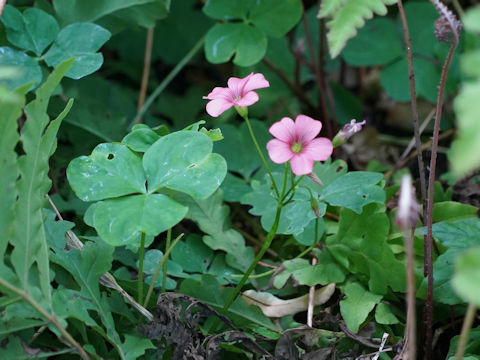 This herb was introduced into Japan after the Second World War. 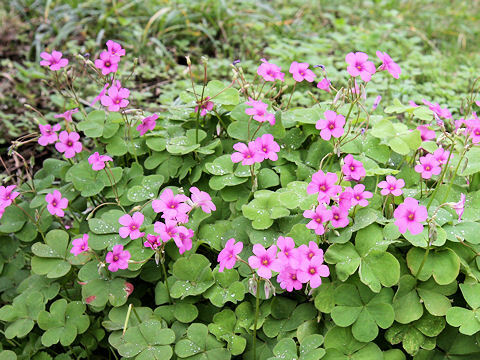 It is naturalized widely in western Japan. 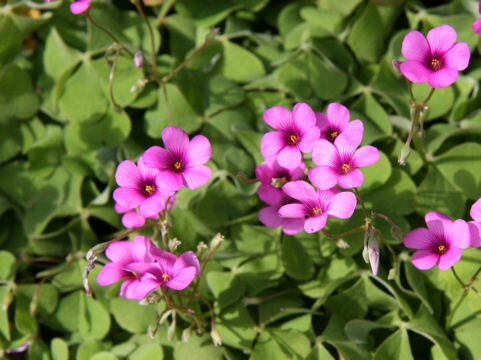 The deep pink flowers come in April to September. 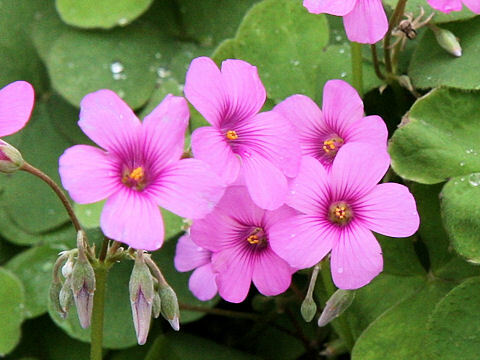 The corolla has a deep magenta throat and the anthers are yellow. 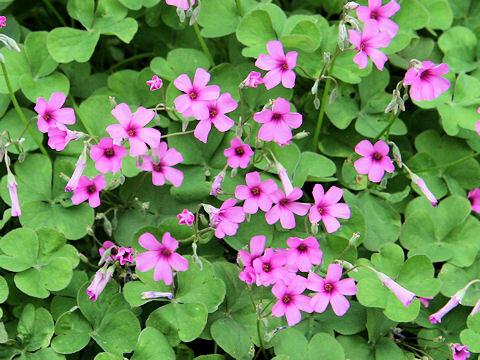 The caudices are potato-like and below ground. 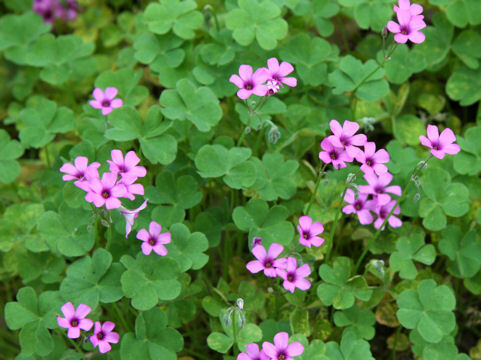 The plant contains oxalic acid and has a sour taste.